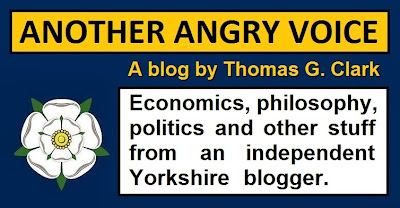 AAV: How many of Jeremy Corbyn's policies do you actually disagree with? 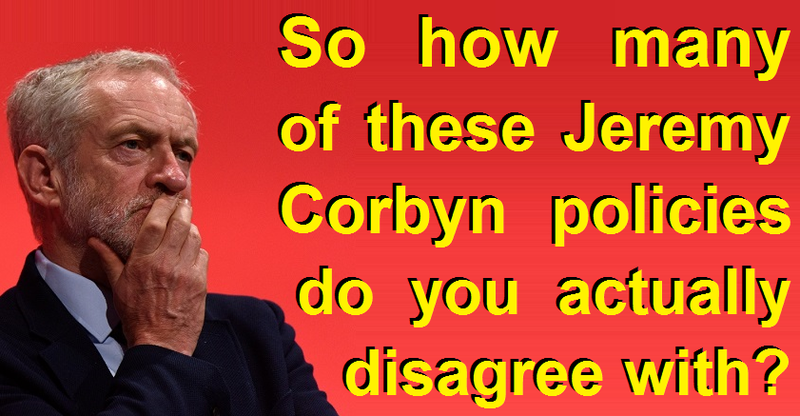 How many of Jeremy Corbyn's policies do you actually disagree with? A London School of Economics study into how Jeremy Corbyn is represented in the media found that only a paltry 11% of all newspaper articles about him bothered to accurately state a single one of his actual policies. In the hard-wing Daily Mail and Express that figure was 0%. Given this lack of unbiased political coverage it's not difficult to understand why so many people are so unfamiliar with Jeremy Corbyn's actual policies, and tend to judge him as if politics is some kind of vapid personality contest. So here are some of the Jeremy Corbyn policies that the mainstream media really don't want to tell you about, so you can judge for yourself whether you like them or not. It's astounding that this isn't the case already. How on earth could anyone even attempt to justify taxpayers' cash being paid to companies based in tax havens for the purpose of dodging tax? The UK is the only country in the developed world where workers' wages are declining in real terms, while the economy is actually growing. A £10 minimum wage would help to reverse this scenario, and it would also significantly reduce the cost of in-work benefits like tax credits and housing benefit (most of which goes to working families these days). Again, astounding that this isn't the case already, but in January 2016 the Tories (over 1/3 of whom are landlords) deliberately voted down a Labour Party amendment to their housing bill to ensure that all rented accommodation is fit for human habitation. This is a very popular policy that is supported by an overwhelming majority of the public. Do you support rail renationalisation too, or are you one of the minority who think that the current shambles is acceptable? The Tory party have been carving up the English NHS and distributing the pieces to the private sector, Jeremy Corbyn has pledged to reverse this process. Are you one of the 84% of people who thinks the NHS should be run as a not for profit public service, or the 7% who agree with the ongoing Tory privatisation agenda? The policy of providing free school meals to all school children between the ages of 4 and 11 is based on evidence based research showing that universal free school meals lead to significantly improved grades. It will be paid for by ending the generous tax breaks (public subsidies) for the 7% of kids who go to private fee-paying schools. Jeremy Corbyn believes that education is a right, not a commodity. He wants to create an integrated National Education Service to ensure that education is freely available to anyone who needs it. Thanks to the Tories (and their Lib-Dem enablers) UK students now face the most expensive tuition fees in the industrialised world for study at public universities, meaning students typically leave university with £50,000 of debt, and two thirds of them will never pay off their student debts. Labour would end this lunacy by getting rid of student fees. One of the first things Theresa My did when she came to power was to scrap NHS bursaries for nurses and other NHS workers. This removal of financial support for nurses has caused a huge 10,000 decline in the number of applicants to nursing courses. This collapse in nursing recruitment would be bad enough in its own right, but in combination with a record increase in the number of EU nurses quitting the NHS and a mind-boggling 92% fall in nursing recruitment from EU countries, the UK is clearly facing a massive NHS recruitment crisis. Labour would reverse this calamitous state of affairs by restoring NHS Bursaries for trainee nurses. Labour are proposing to increase the Carers Allowance for the 1 million unpaid carers in the UK. This would be paid for by scrapping the Tories' Inheritance Tax cut for millionaires. Unpaid carers save the UK economy an estimated £132 million a year, and they're doing ever more work as a result of the £4.6 billion in Tory cuts to the social care budget. This is actually one of Jeremy Corbyn's best policies, but few people actually understand it. It's absolutely clear that allowing private banks to determine where money is invested ends up in huge speculative bubbles in housing and financial derivatives, while the real economy is starved of cash. A National Investment Bank would work by investing in things like infrastructure, services, businesses and regional development projects, and would end up becoming a kind of sovereign wealth fund for the UK. Under Tory rule UK workers suffered the longest sustained decline in real wages since records began. The public sector pay freeze contributed massively to this. You'd have to be economically illiterate to imagine that repressing public sector wages with below inflation pay rises for year after year would not exert downwards pressure on private sector wages too. Ending the public sector pay freeze would actually boost the economy by putting more money in people's pockets, meaning an increase in aggregate demand. David Cameron (the son of a tax-dodger) repeatedly lied through his teeth about how serious he was about confronting tax-dodging, whilst allowing HMRC to concoct sweetheart deals with corporations like Google, Vodafone and Starbucks. One of the main reasons the corporate press are so strongly opposed to Jeremy Corbyn is that they know that unlike David Cameron, he's serious when he talks about clamping down on tax-dodging. Major corporations are withholding an astounding £26 billion through late payment, which is responsible for an estimated 50,000 small businesses going bust every year. The scale of this problem is so massive that it should be a national scandal, and Jeremy Corbyn is absolutely right to align himself with small businesses to defend their interests. Since 2010 the Tories have cut the rate of corporation tax for major multinational corporations from 28% to just 17% (by 2020) meaning the UK has one of the lowest corporation tax rates in the developed world. The global average is 27% and the G7 average is 32.3%. Theresa May has already threatened to lower the corporation tax even further to turn post-brexit Britiain into a tax haven economy, Corbyn is proposing to do the opposite and increase corporation tax rates so they're more in line with the rest of the developed world. Theresa May has repeatedly expressed her intention to tear up Winston Churchill's finest legacy, the European Convention on Human Rights. Labour would oppose this Tory attack on our human rights. Almost a million UK workers are now on exploitative Zero Hours Contracts. Last year the New Zealand parliament voted to ban them, and Labour is proposing to do the same. Long-term employees and workers doing regular hours would be protected from Zero Hours Contract exploitation. Labour have said that they won't block Brexit, but they will seek to hold the Tories to account over it. A landslide Tory victory would be a disaster for the UK because it would allow Theresa May to pursue the most right-wing pro-corporate anti-worker Brexit possible with almost no democratic scrutiny. The only way to make sure the Tories don't push a fanatically right-wing Brexit on the nation is to ensure that there are plenty of opposition MPs to hold them to account. Under the Tory government the level of UK housebuilding has slumped to the lowest levels since the 1920s, even though demand for housing is extremely high. Labour are guaranteeing to invest in a programme of housebuilding, and committing to ensure that half of the new houses are social housing. This wouldn't just alleviate the housing crisis, it would also stimulate the economy by increasing aggregate demand. George Osborne's ideological austerity agenda resulted in the longest sustained decline in workers' wages since records began and condemned an additional 400,000 children to growing up in poverty, meanwhile the tiny super-rich majority literally doubled their wealth. Labour is pledging to reduce the inequality gap and introduce progressive policies to reduce the gap between the incomes of the highest and lowest paid. There is plenty of evidence to show that the least unequal societies are more economically successful places where the people are happier. So out of these 20 Labour Party policies, how many do you actually strongly disagree with? This article attracted rather a lot more interest than I'd imagined (well over 1 million hits in 3 days!). One of the big questions people have been asking is how all of this would be paid for. The answer is that quite a lot of the policies are actually investments that would pay for themselves in the long-term because they would stimulate more economic activity than the investment cost (see my articles on fiscal multiplication and the marginal propensity to consume to get a better idea of how). Other policies could easily be funded if we had a government that was actually serious about cracking down on tax-dodging, which costs the country vast amounts per year. Just ending sweetheart deals between HMRC and major multinationals would generate £billions, which would pay for stuff like restoring the NHS bursary many times over. If anyone is genuinely worried about how stuff is going to be paid for, the first thing on their mind should of course be the impending threat of a "no deal" Tory strop away from the Brexit negotiating table that Theresa May has made the centrepiece of her so-called "negotiating strategy". If that happens the IFS have estimated a 6.3% -9.5% collapse in GDP, which would be a much more significant economic meltdown than the one that was caused by the 2007-08 global financial sector insolvency crisis (that our economy and our wages have still nowhere near recovered from). What do you think would happen to the tax take and the budget deficit if the economy tanked even worse than it did in 2009 thanks to Theresa May's alarmingly woeful threat-based Brexit negotiation strategy resulting in the chaos of an economically ruinous cliff edge Brexit?